Weigh station bypass systems can be a great way for fleets to save money, time, and wear and tear on trucks. They can also increase productivity and help promote driver retention. After all, more miles means more dollars. It seems incredible that something as seemingly innocuous as a weigh station check-in can cost the trucking industry so much. Using PreClear Analytics technology to measure the approach, entry, exit, and time spent at the station, one company in the Southeast measured 450 hours and over $60,000 in costs lost to weigh station delays. Incidentally, the system can also help fleet better understand driving patterns and help reduce costs and inefficiencies in other ways. Not only do bypass systems allow drivers to spend more time on the road and to clock more miles, but trucks equipped with a system undergo fewer inspections. 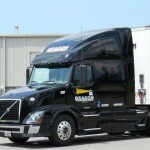 Not only is this convenient and cost-effective for the fleet, but it’s great news for drivers. For every inspection that doesn’t happen, drivers can enjoy anywhere from 45-minutes to two extra hours of drive time. Commercial Carrier Journal notes that drivers who don’t have to stop for extended roadside inspections during the day may arrive at the terminal on or ahead of schedule, allowing them to make an extra pickup and earn overtime pay. These systems also help ease congestion, which is good for commercial and private drivers alike! There are two bypass systems that fleets commonly use. One relies on Radio Frequency Identification (RFID) and the other on Commercial Mobile Radio Service (CMRS). CMRS systems such as Omnitracs are conveniently integrated directly into the company’s devices and the mobile interface is very user-friendly. However, these systems may be susceptible reception problems, which can impact how signals are relayed from trucks to weigh stations. CMRS-based systems can be impacted by geography, weather, signal strength, the age of the cellular device, or other programs that may be running at the time. RFID systems such as PrePass rely on radio frequency transponders located in the cab. RFID transmits and receives signals with almost 100% accuracy. Not only that but unlike CMRS, RFID systems read almost instantaneously every single time. Furthermore, because of the highly accurate signal, RFID bypass systems accurately report weight-in-motion figures and match them to the correct vehicle. CMRS systems can be vulnerable when there is heavy traffic traveling on multiple lanes. Finally, popular RFID systems like PrePass also pays tolls automatically, minimizing expenditures and making the most of the most precious of all commodities: time. At Beacon, we work to attract the safest and best drivers in the industry. To foster a productive work environment, we’re proud to offer PrePass to our drivers. Become a Beacon truck driver today!